A donation of £500 by the family and friends of the late Alan Brown (owner of Blinkinks computer supplies shop) to the Ilkeston and district Local History Society has enabled junior and senior schools in the Ilkeston area to receive books and maps on local history. 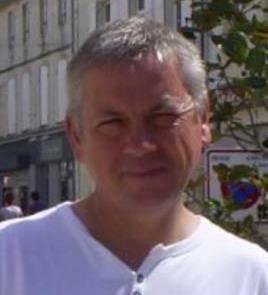 Russell Gough (secretary of the society) said: “Alan was very interested in local history and sold the full range of local history books published by the society in his South Street shop. It seemed fitting, therefore, that as a way of remembering Alan the donated money should be used for the benefit of local school children. 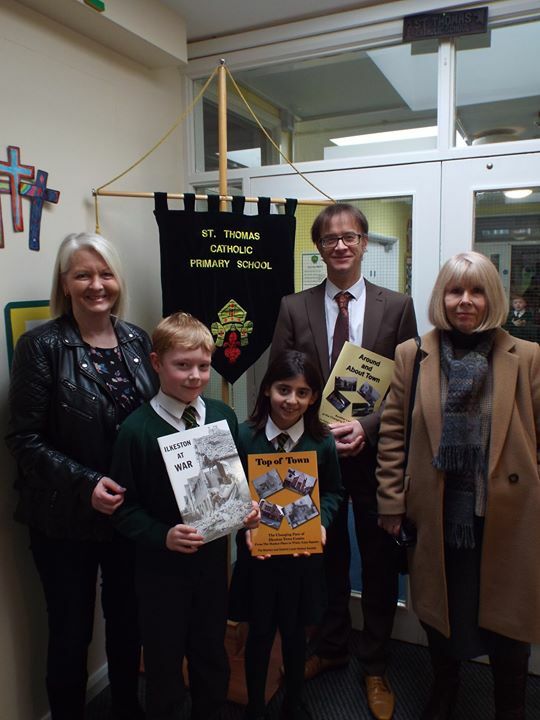 In the group photograph are (left to right) Julie Brown of Blinkinks, pupils Austin and Tia, Graham Lobb (headmaster) and Susan Cave of the history society. Other photo: Alan Brown, former owner of Blinkinks who died suddenly in 2015.